Given that he spent 17 years playing rugby, you'd forgive Gordon D'Arcy for wanting to just put his feet up at the weekends now that he's retired. 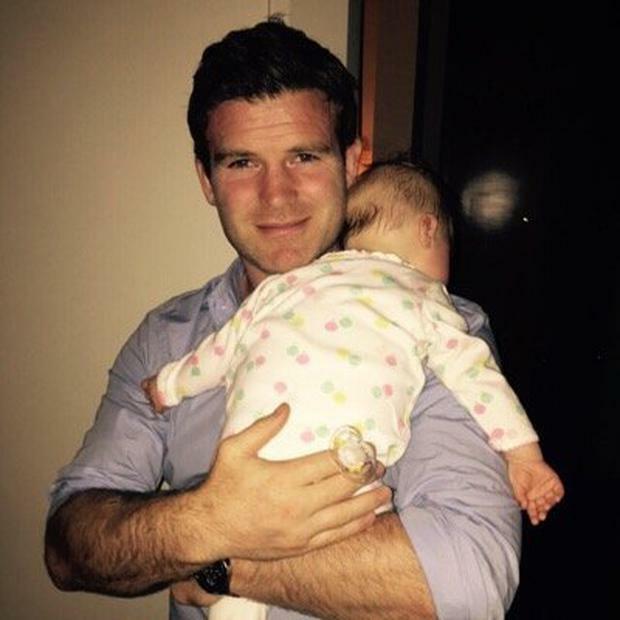 But the former Ireland international (36) has revealed how any spare time he has he saves for his wife Aoife Cogan and their little tot, Soleil. Now working full-time with finance company Investec, having retired six months ago, the devoted dad said he relishes having some quality family time away from the day job. "Every day is a little bit different, so it's really enjoyable. There's loads of different challenges but trying to figure out what I'm doing with my spare time, that's probably the biggest complaint I have - which is something new because I want to spend as much time as I can with my family," he told the Diary. "That's the main thing, trying to spend time with the family at the weekends so that takes the majority of my time, but I'll find a balance." He said that he met up with Ireland coach Joe Schmidt recently, but said they didn't even talk about rugby - and insisted he doesn't miss it at all.His adorable daughter will turn one in May and the sporting legend has made sure he's spent lots of quality time with her during her first year. He and his young clan went on a dream trip to South Africa and Mauritius, spending two months seeing the sights, ahead of his new career challenge. He said his other half is a dab hand at combining motherhood with working life as her Form School fitness facility on Grattan Street is flying. "She's had the busiest year. We were out the door from the start of January. It's getting busier year-on-year and it blew our business plan out of the water," he said. However, he said that the only regret they have is that they didn't create a larger space as demand has been so huge for their Pilates reformer classes. "We wish we put more beds in. But we love what we've created. It's very specific and unique," he said. This week saw him lining out for a good cause, namely Barretstown children's camp. He said it was "fantastic" that it was one of the charities chosen to benefit from the Dubai Duty Free Irish Open hosted by the Rory McIlroy Foundation. 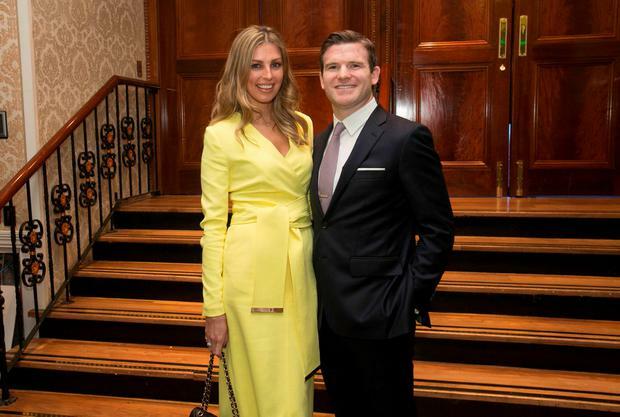 Top 10 Miss Ireland winners: Where are they now?